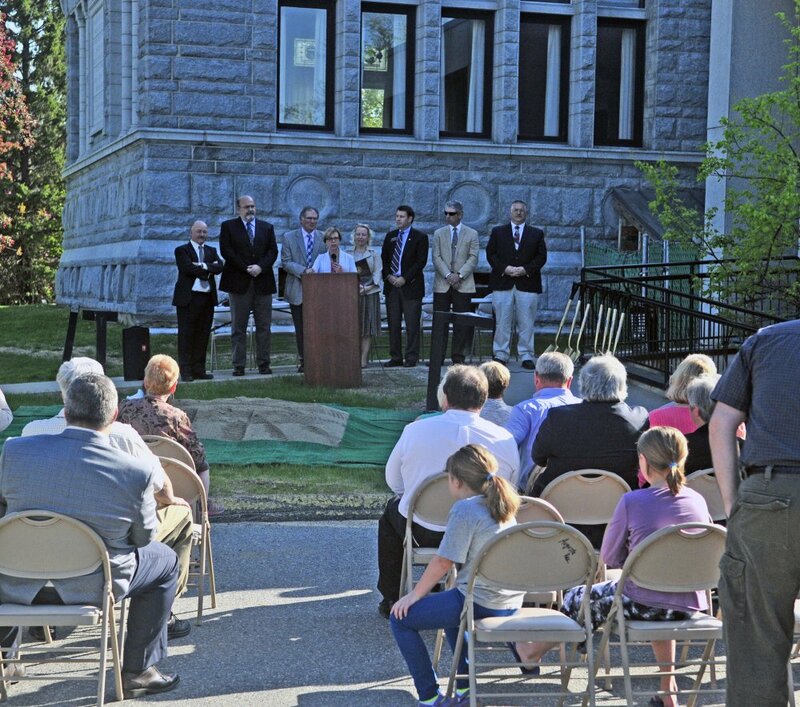 AUGUSTA — Standing in the shadows of both the ornate and stately original 1896 building and the not-so-stately 1979 addition that is about to be demolished, officials broke ground for the long-awaited expansion and renovation of Lithgow Public Library Thursday. 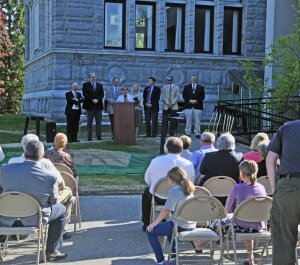 “This is an example of what persistence, dedication and commitment can do,” Bill Stokes, former mayor and current Maine Superior Court justice, said at groundbreaking ceremonies held on the lawn next to the future site of the library expansion. Demolition work will start Monday. Construction is expected to take about 18 months and will cost about $11 million. The need to expand and renovate the library has been discussed for more than a decade, since well before a 2007 referendum seeking funding for it was rejected by voters. 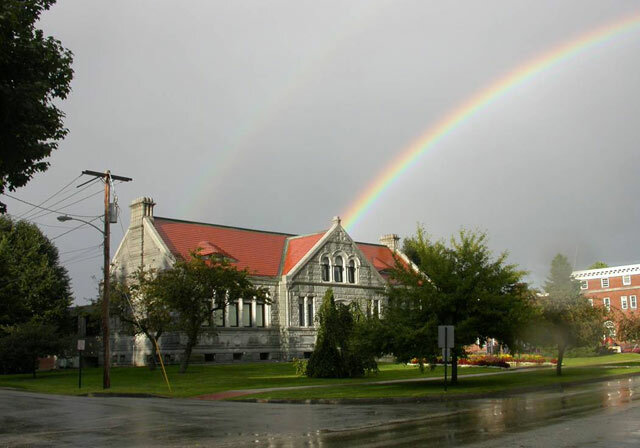 Last year, another referendum seeking $8 million in bonding for the library was approved. 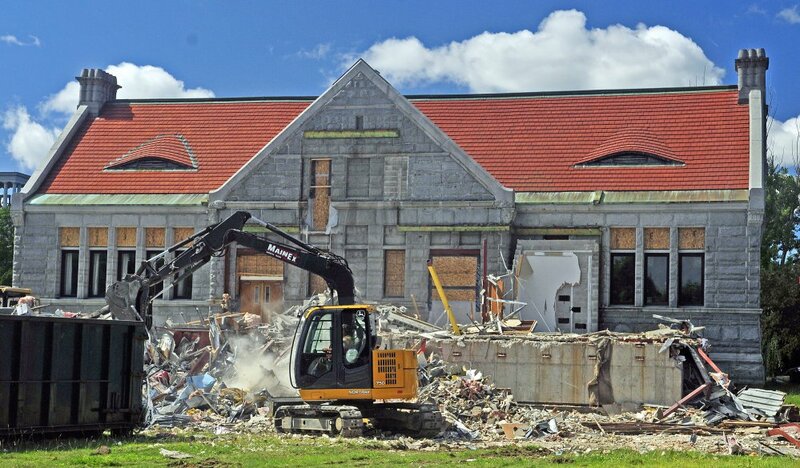 The project involves demolishing and removing the 1979 addition to the building and replacing it with a much larger addition attached to the original 1896 part of the building, nearly tripling the size of the library. 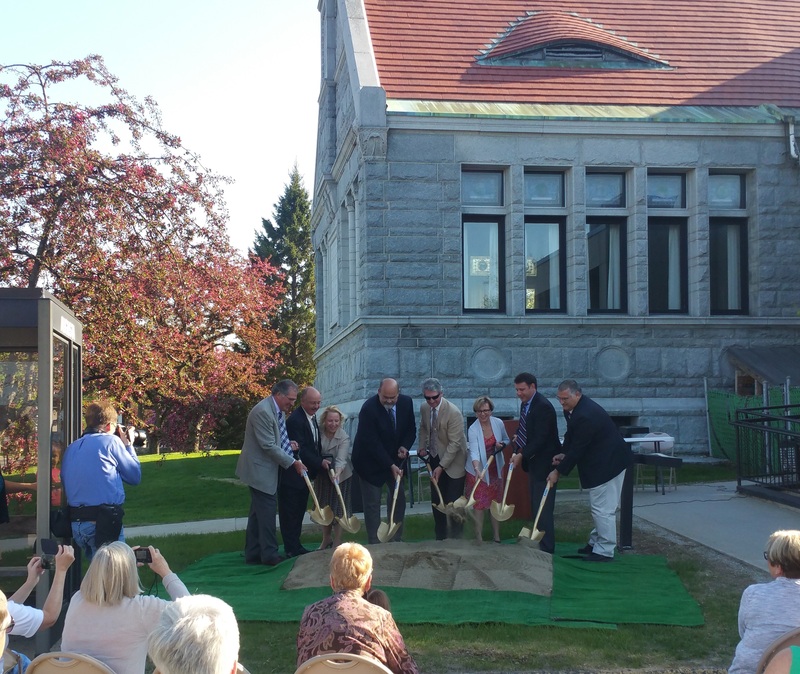 Elizabeth Pohl, library director, said it is a once-in-a-century project. She read from a presentation made by the secretary of the board of trustees of the then-unbuilt library in 1894, at which the cornerstone of the building was placed, which noted the library would provide an educational center “for all conditions and all classes” of the city. 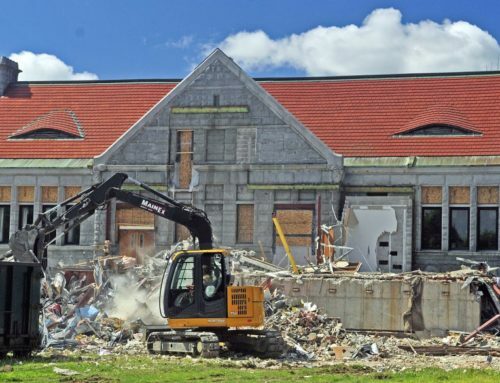 Last June, city voters overwhelmingly approved borrowing $8 million for the long-debated project to renovate and expand the city’s nearly 120-year-old public library. That money will be combined with about $2.2 million raised privately by the Friends of Lithgow Library. Bridgeo said leaders of the group expect to raise another $300,000 in their still-ongoing fundraising effort. 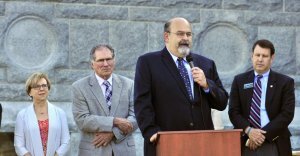 Mayor David Rollins echoed other officials at the ceremony in thanking all who donated to the project. 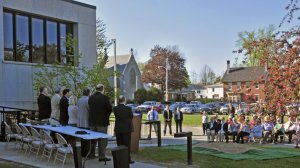 On Tuesday, the city sold $11.2 million in bonds, including $8 million for the library project. The city received six bids and selected a bid from Morgan Stanley at an interest rate of 2.87 percent. 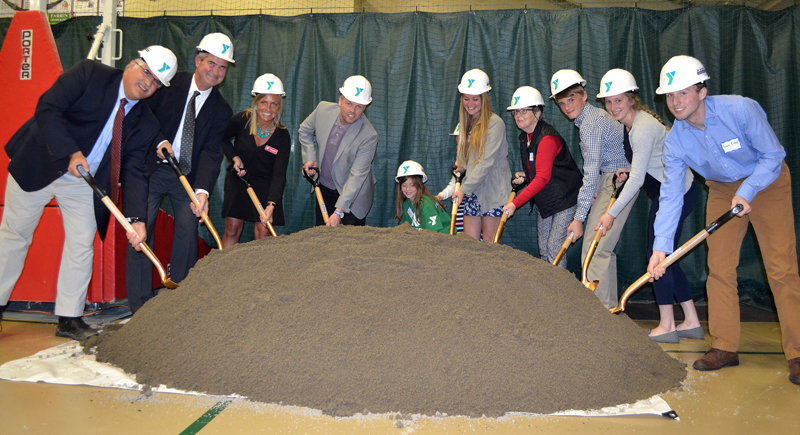 The other borrowing in the bond sale included $1.6 million for street and sidewalk improvements, $850,000 for renovations and energy efficiency upgrades at the Augusta Civic Center, and $750,000 in other projects approved by city councilors. City Manager William Bridgeo said paying off the debt of the library project is not expected to require a property tax increase. When voters approved the $8 million bond for Lithgow, they also approved $7.6 million to refinance existing city employee pension debt. 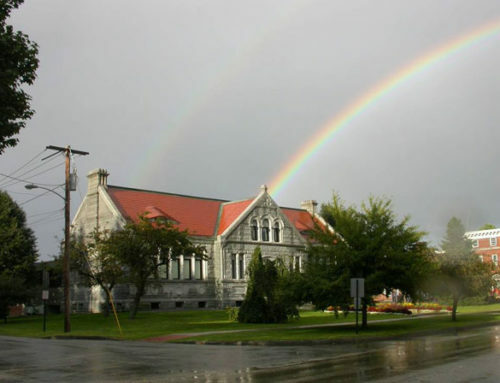 By refinancing the pension debt for a longer period of time, Bridgeo said the city’s payments for both the library and pension debt will be lower than the previous, approximately $2 million a year it was paying on the pension debt. Bridgeo said he is confident the city has enough money, when combined with the money raised by the Friends, to complete the project. The library’s temporary home during the construction is the Ballard Center on East Chestnut Street, the former MaineGeneral Medical Center building now owned and redeveloped by Dirigo Capital Advisers. The library’s temporary quarters there opened Monday in 20,000 square feet of space the city is leasing for $10.50 per square foot. The total lease cost would be $315,000 if the library renovation project takes 18 months as estimated. Andrew Silsby, incoming chairman of the library’s board of trustees, said the trustees think of themselves as the stewards of the library’s collections. 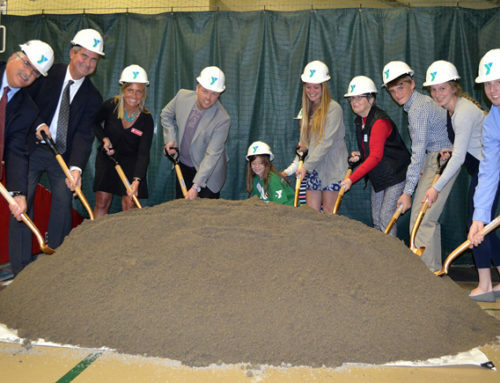 Winthrop-based construction company J.F. Scott Construction is the general contractor on the project. The firm is owned by Winthrop native and resident John Scott, who, before forming the company, served as project manager of construction of the $312 million MaineGeneral regional hospital in north Augusta. Architect Stewart Roberts, a principal of Massachusetts-based Johnson Roberts Associates, is the architect on the project. The project received approval from the Augusta Planning Board in March. The renovation and expansion will nearly triple the size of the library. It will also address numerous issues at the library, including an obsolete elevator not accessible by people in some wheelchairs and not up to Americans with Disabilities standards; a still-leaky roof; safety and security concerns because of staff not being able to view or monitor the main entrance; an inefficient and obsolete heating and ventilation system; and the overriding issue of just not enough room for books, computers, programs and people. The lack of space in the library, which is on the National Register of Historic Places, is behind many of the building’s issues. With only so much space available, collections of books are stacked so close together — some within 28 inches of other stacks — there isn’t enough room for people to even turn around in the stacks. Books are stacked along window sills because there’s no other space for them. Because there is so little room, the library has only a few computers available for use by the public, four for adults and three for children.